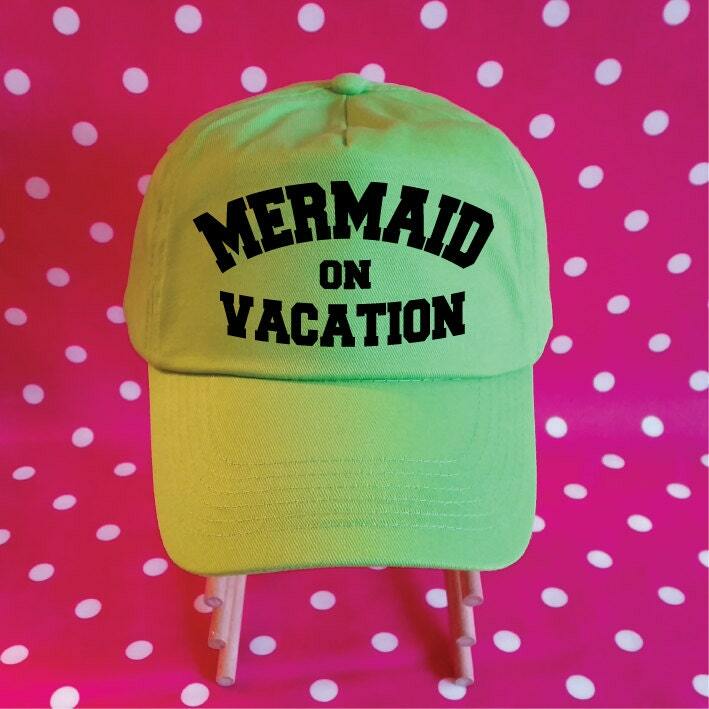 Mermaid On Vacation Hat. 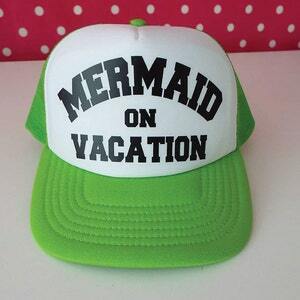 Mermaid Hat. Dad Hat. Baseball Cap. 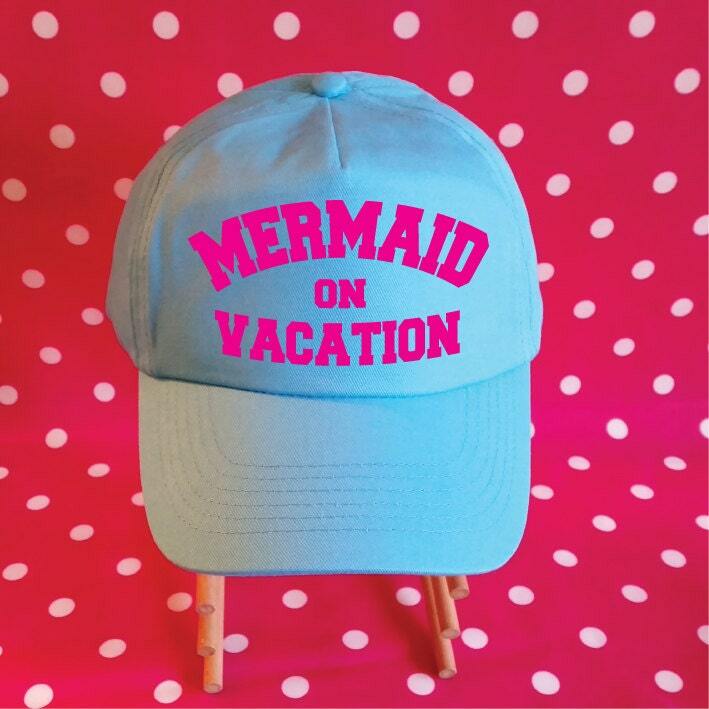 Vacation Hat. Beach Hat. Beach Cap. Ball Cap. Lake Hat. Boat Hat. 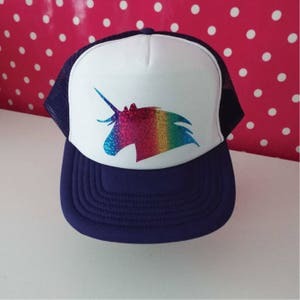 Tumblr Hat. 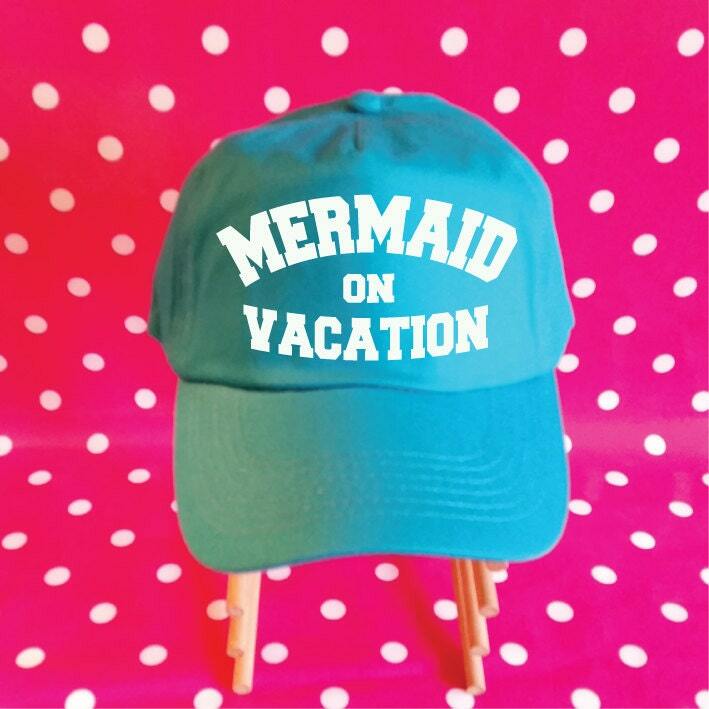 This cute Mermaid on Vacation Hat is a fully adjustable Baseball Hat with unstructured crown and makes a fab Mermaid Gift. 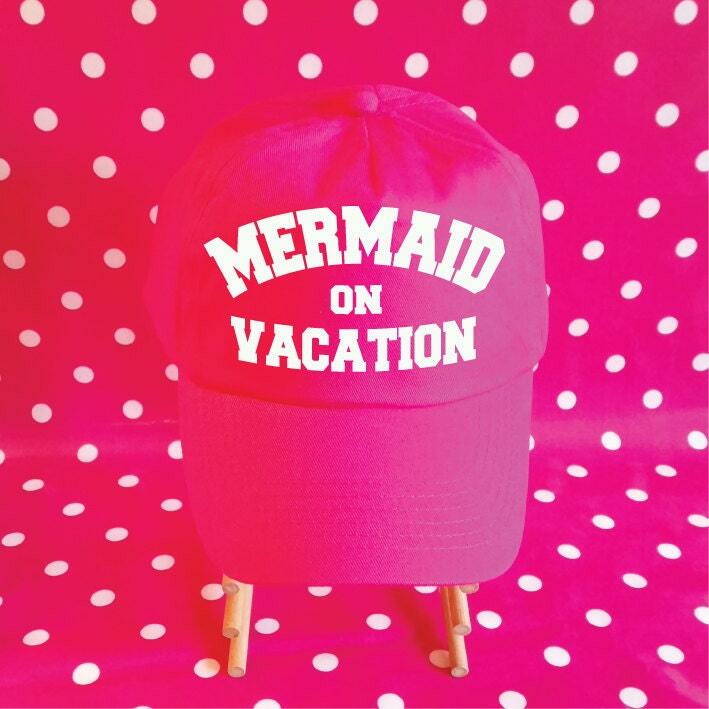 Use it on Vacation at the Beach, Lake or wherever. Lovely and lightweight to keep you cool in the heat. This Baseball Cap is fully adjustable at the back, light and comfortable to wear in hot weather making is suitable as a Beach Hat, Boat Hat, Lake Hat, Summer Hat or Gym Hat. Suuuuperrr cute!!!! Very fast shipping! 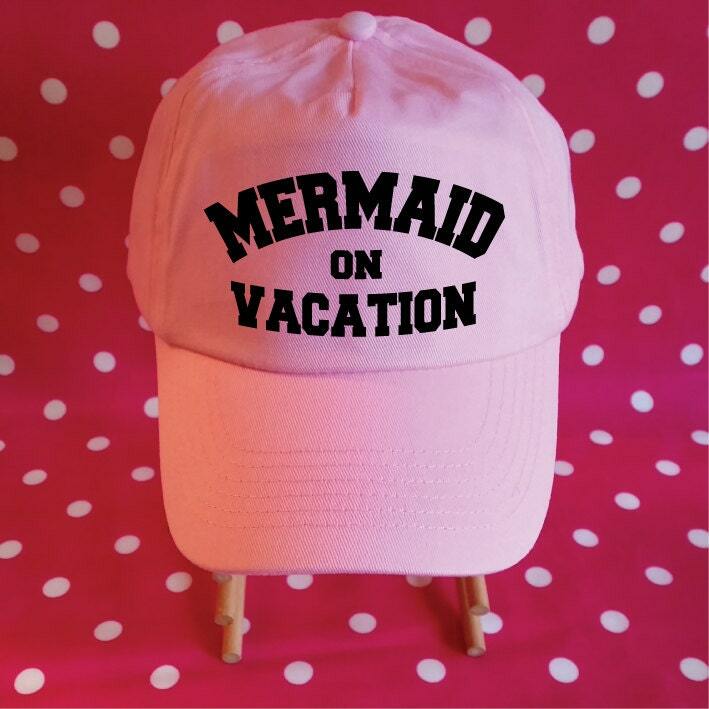 Love it.....great cap for my vacation...embroidery is nicely finished and is covered on the inside so it doesn't catch on your hair. Would definitely recommend! Nicely packaged and arrived quickly too. The item was nice but it took a lot longer to ship than I expected because it was coming from overseas. Just keep that in mind when ordering! 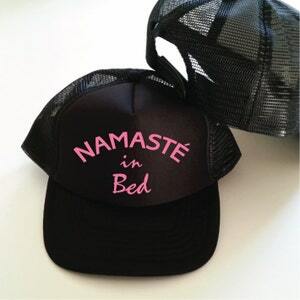 Namaste In Bed Trucker Hat. Namaste Hat. Funny Yoga Hat. Snapback Trucker Cap. Yoga Life. Yoga Gift.